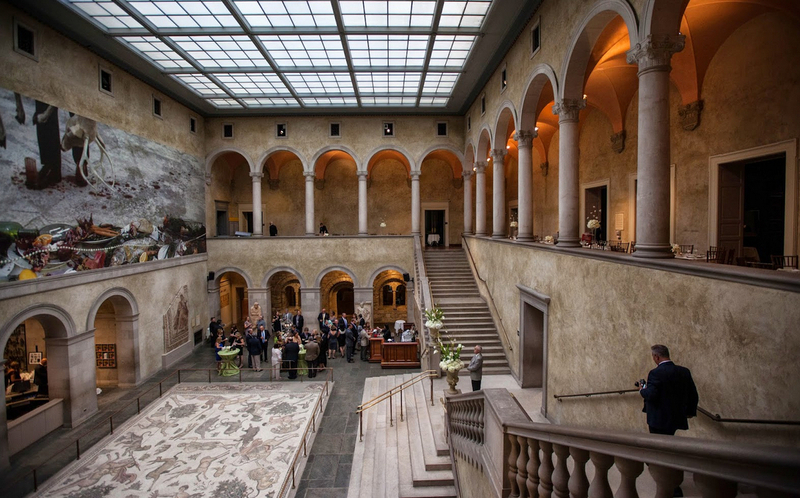 Worcester Art Museum Wedding Venues, Imagine your bridal party's unforgettable entrance down the grand staircase of the Renaissance Court, encircled by 50 centuries of art. Stunning architectural spaces surrounding your guests with visual luxury. The drama and elegance of an unforgettable wedding can all be found at Worcester Art Museum Wedding Venues. 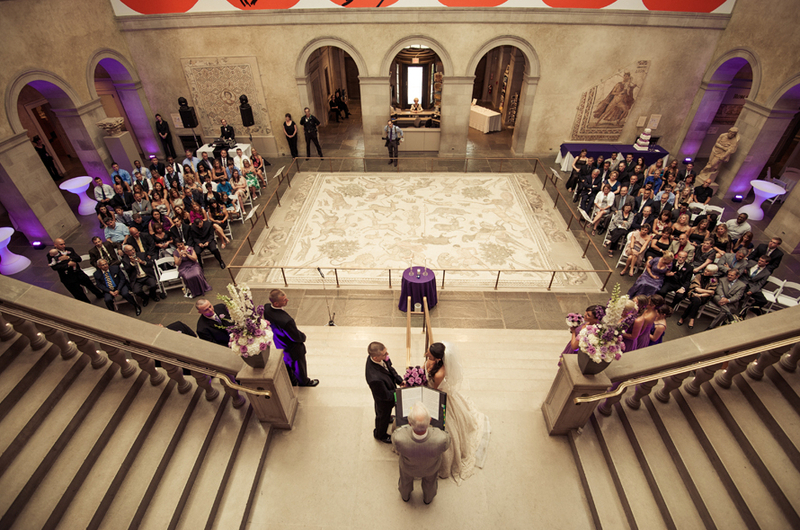 Accommodating dream weddings of all shapes and sizes, the Worcester Art Museum's staff can create the perfect setting for your intimate or extensive guest list. - The 100-year-old Grand Renaissance Court provides up to 120 guests, with full seating fit for royalty. The Court also provides your guests access to the surrounding galleries on the first level of the Museum. - A cocktail-style event (with partial seating) for up to 175 creates an exciting mix between formal and fun. - The Museum Café, with its adjacent outdoor Courtyard, accommodates 30 to 150 guests — depending on the style of food service you choose and for those good weather months your guests will enjoy stepping into the outdoor courtyard for cocktails. To complement your event, you may want to offer your guests a docent-led tour of selected galleries, or an opportunity to view one or more of our galleries on their own. 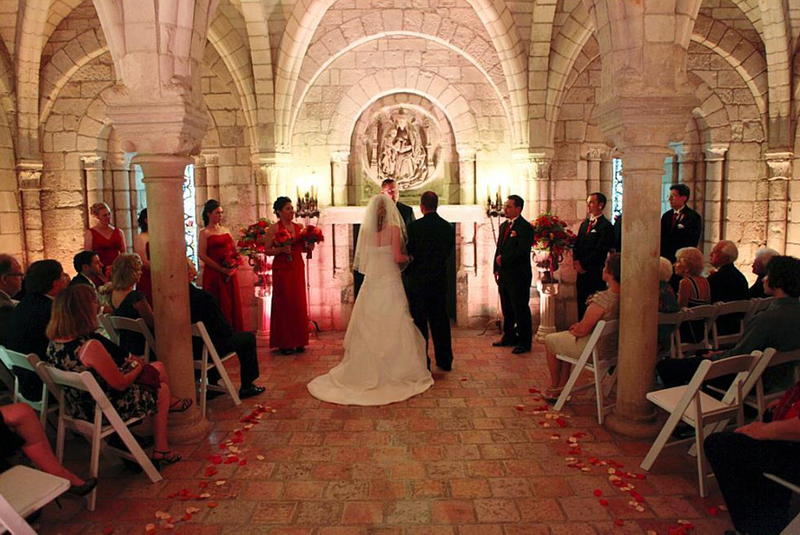 - The art and architecture of the Museum offers some of the most stunning wedding backdrops imaginable, creating your own personal art collection that celebrates this historic day.